If you have any questions or want to enquire about dates, use our form to contact Caroline Wilson or see their website for more information. 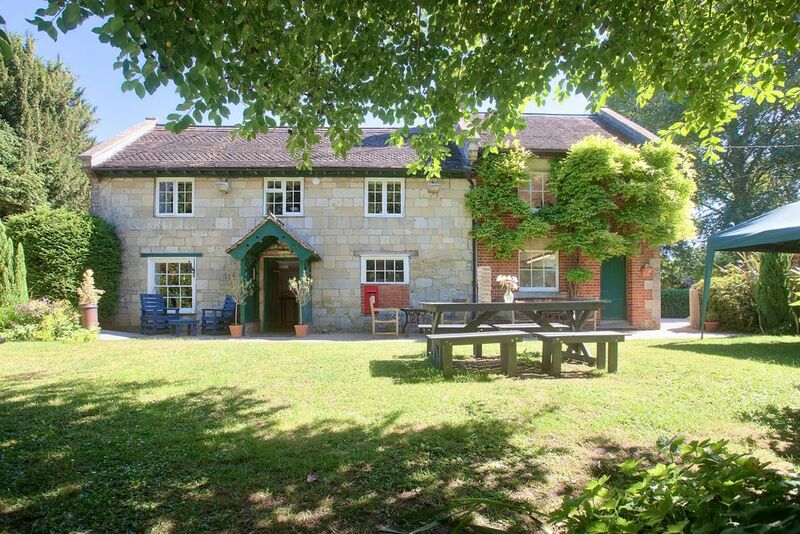 The River Barn has a lovely village setting within the Fonthill Estate. The cosy beamed dining room is in the main building; bedrooms are in a rustic redbrick add-on or there’s a secluded thatched barn across the road for couples. Breakfasts are so good they draw the locals most days, with much of the produce sourced fresh from the estate – smoked salmon with spinach and scrambled eggs, slow-cooked spiced chickpeas with poached eggs on sourdough, fresh fruit salad, pastries. Your room has a sofa or armchair plus good books, a hot water bottle, excellent coffee and a blanket for your dog. There are plenty of sitting areas in the wild and wonderful garden, which has an orchard, chickens and a shallow river kids can fish for shrimps in. For days out Stonehenge and Longleat are close. Lunch £10. Dinner from £20, 3 courses £30 per person. What a wonderful find! Chef Caroline has worked a special kind of magic here, creating a rustic but supremely comfortable base for couples and families. 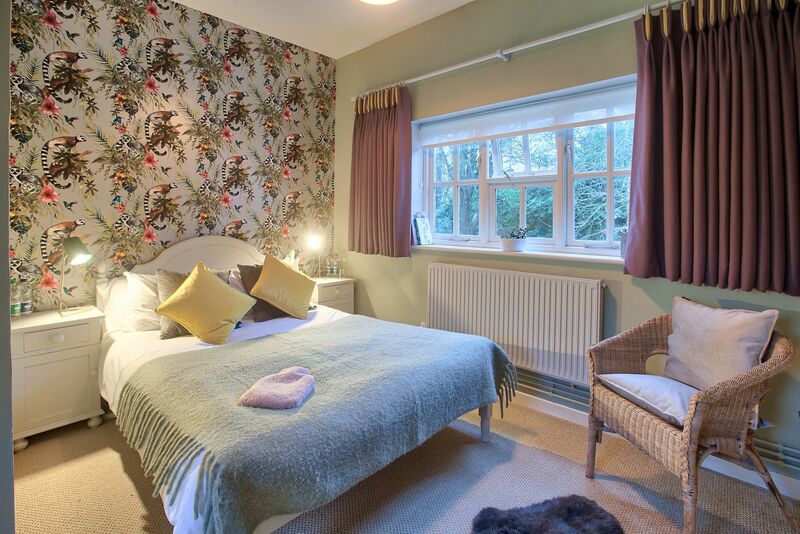 Splash and shrimp in the shallow river with its mint garden, pick windfalls in the little orchard, tuck into smoked haddock chowder in the restaurant, or simply settle into your room with a good book (each room has a handful), a hot water bottle and your four-legged friend snoozing on a blanket at your feet. Heaven! 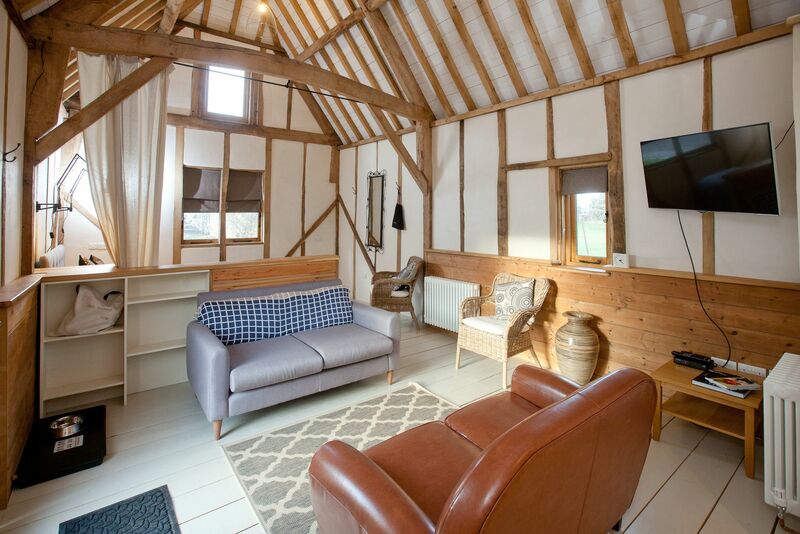 The River Barn is set in the village of Fonthill Bishop. As it’s midway between London and Cornwall, it’s popular with families as a stopping off point to let kids run wild and get a great bite to eat. All meals are served in the restaurant, but you’re a three-minute drive to the Beckford Arms and five minutes to The Lamb at Hindon. Stonehenge, Salisbury, the Wiltshire Downs and Longleat are close by, and the whole area is filled with pretty villages. Caroline the chef/manager, brims with ideas and enthusiasm; it was her idea to turn the River Barn into a B&B style restaurant with rooms. She lives in the village but staff are always on hand.